How to make Cheese Tea – What is Cheese Tea??? So what is Cheese Tea? Simple, Its Tea with Cheese in it! I looked at a lot of different recipes and cheese tea videos to come up with this simple cheese tea recipe! On the first shot I whipped up all the ingredients and I think I nailed this Chinese cheese tea trend! 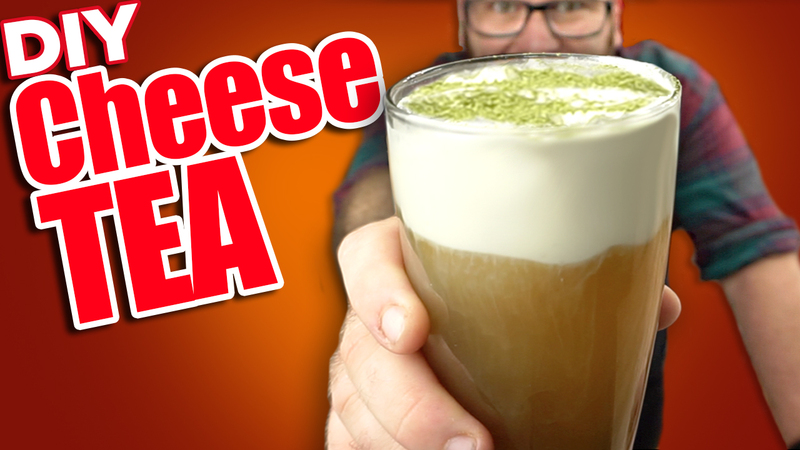 I hope you enjoy my Cheese Tea Recipe! Cheese tea is an incredible tea with a creamy cheese topping!